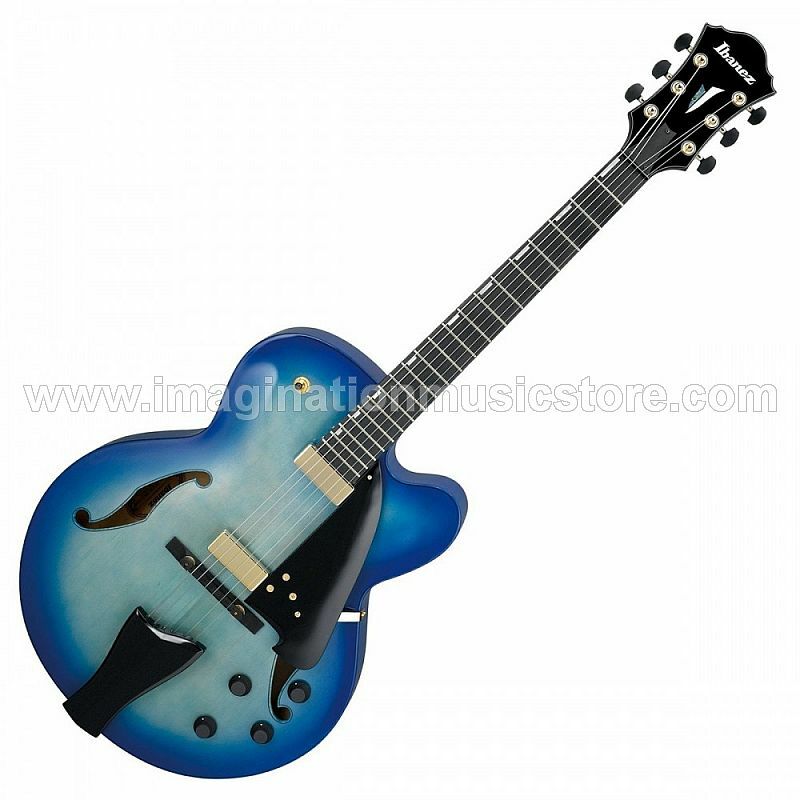 The Ibanez AFC155-JBB in Jet Blue Burst is a semi acoustic guitar with a hollow body. It features a solid spruce top with flamed maple back and sides. Fitted from factory with Flatwound strings making it perfect for jazz. The Contemporary Series in new for 2017. Buy online today from Guitar.co.uk or visit our Glasgow shop, Merchant City Music. FREE check and full Professional setup before dispatch. Fast UK and European delivery service. The Ibanez AFC155 in Jet Blue Burst features Magic Touch Mini Pickups. Part of the Contemporary range this hollow body guitar is fantastic value for money. The Ibanez AFC155 comes with a solid spruce top and flamed maple back and sides. The body is finished in Jet Blue Burst. At this price level that is pretty exceptional. The spruce top gives it a richer acoustic sound and lovelyclear tones. An AFC 3 piece Mahogany and Maple set-in neck is set into the body. This comes with a bound ebony fretboard Mother of Pearl off-set inlays. The Ibanez AFC155 comes strung with Flatwound strings which are perfect for jazz. Two Magic Touch-Mini pickups also feature. It comes complete with its own hard case. Body Thickness: Max body thickness 3 5/8"/Width at lower bout: 15 3/4"